Catalyst can be integrated into a client's existing IT environment through a series of integration points for services such as user identification, authentication and authorization. Catalyst can also leverage existing database infrastructure, including different relational database management systems and hardware such as SANs, Catalyst can also leverage a customer’s existing web delivery environments. While Catalyst is delivered with a built-in search engine for entity searching (including company names, director etc. ), it can be configured to integrate with a client’s existing search engine technology if required. Catalyst also supports state and national level services such as those providing user authentication and login services. Catalyst employs a role-based security model that controls access to the system by registered users. This allows access to data and functionality to be restricted based on user accounts and users' membership to defined roles. Catalyst caters for internal users (staff who work in the registry office) and external users (including practitioners), and controls their access accordingly. Catalyst employs a robust and reliable security model that ensures all access to functionality and data takes place through the application itself, with access controlled by the Catalyst security model. 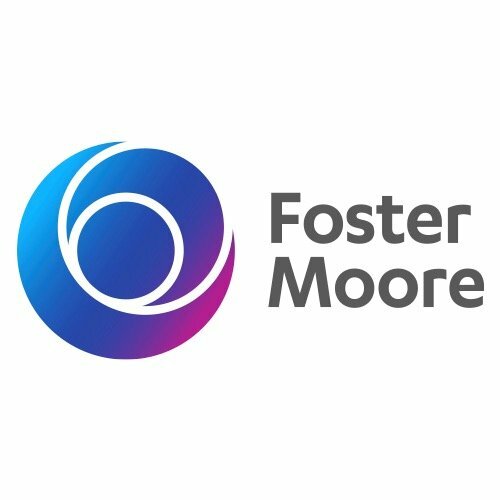 Foster Moore works with clients through all Catalyst installations to ensure that all servers, including application, web and database servers, are adequately secured from unauthorized access. Designed to be used by those with visual and other impairments. Being browser-based means we inherit the standard accessibility features of browsers. All registry data is stored for searching, retrieval and reporting. This can be used to connect to virtually any standard database, allowing clients to deploy Catalyst on existing infrastructure. Integration with a content management system simplifies the ongoing management of the content and navigation structure. A job scheduling function enables the configuration and management of batch processes that interact with the registry. Controls the generation and delivery of external written communication. Catalyst manages addresses and user information for fax, email and post. Captures all activities undertaken within the systems including data updates, task, job and process completion, system generated activity and user activity (both internal and external). Catalyst stores a complete change history of all data within the system. Provides a range of payment processing options including real-time payment, direct debit and invoicing. Catalyst can be integrated with payment methods such as cell phone or pre-paid tokens. A configurable workflow system allows for the definition of business processes and escalation rules to assign tasks to teams and team members. Paper-based forms, including lodgements and other transactions, are managed by Catalyst's Document Receipting module. This module streamlines the intake of paper-initiated transactions into the online, workflow system, and ensures that paper-initiated transactions follow the same processes as online transactions. Manage the creation, retrieval and viewing ,of documents. Documents are versioned, tracked and are centrally accessible. An embedded search engine that allows users to search for and retrieve entity records based on a range of criteria as configured by system administrators. The search facility can search documents, including PDF files and Microsoft Word documents. Data and functionality are restricted to defined roles based on user accounts and user membership. Catalyst caters for internal and external users, and controls their access accordingly to ensure that web and database servers are adequately secured from unauthorized access.